You really know your way around a microprocessor. If we could cross the skills of a surgeon with an experienced auto mechanic and add a healthy dose of computer expertise - we'd get a technology savvy superstar like you. 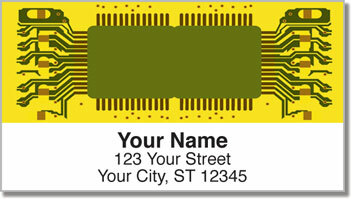 These unique return address labels were designed for the people who aren't afraid to grab a PC and take a look under the hood. 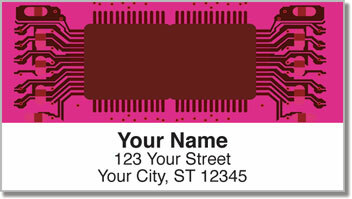 Four colorful motherboards create a cool finishing touch for letters and packages. If you like efficiency, these self-adhesive labels are an excellent choice. Just peel and place them for a simple solution to preparing outgoing mail. Get your own Computer Repair Address Labels today! You'll also find this selection in matching personal checks.